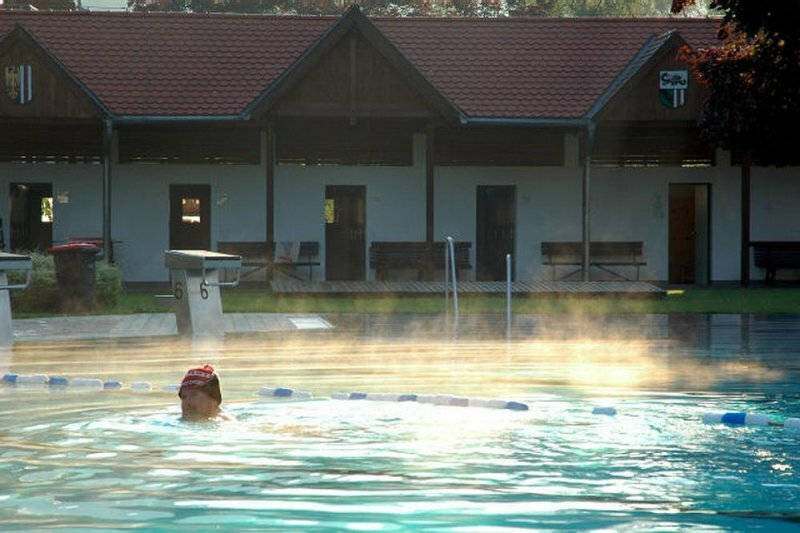 Here you will get really soaked! 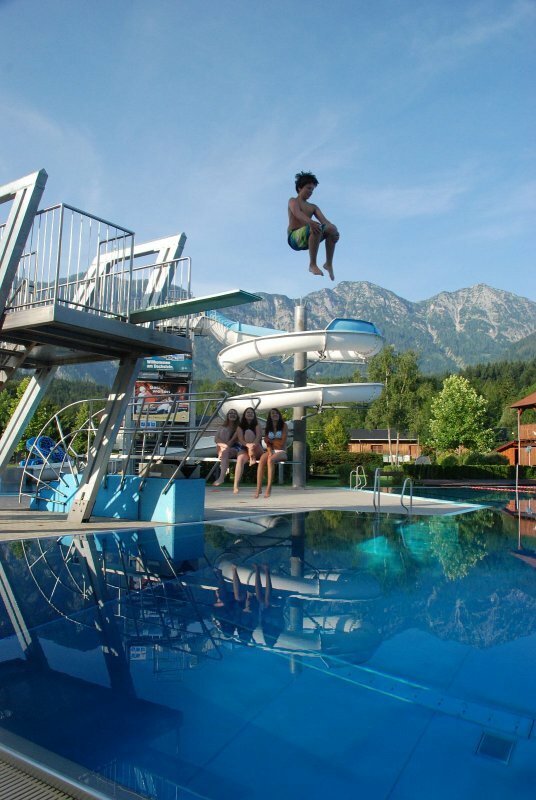 The UNESCO World Heritage site of Hallstatt Dachstein Salzkammergut offers more than just mountains. 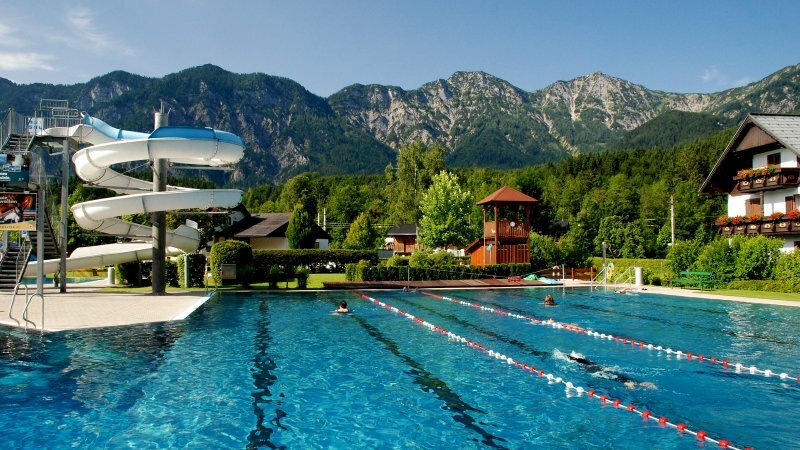 All swimming enthusiasts will get more than their money’s worth at the many beach resorts around Lake Hallstatt and Gosau - the offer is large and varied. 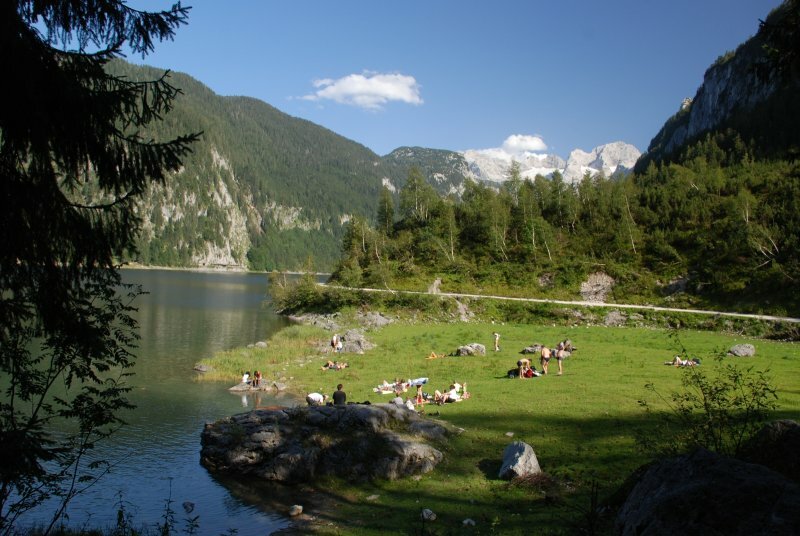 And whoever wants to see the lakes from a different perspective has to simply climb a mountain and look down into the valley onto the wonderful Salzkammergut landscape. 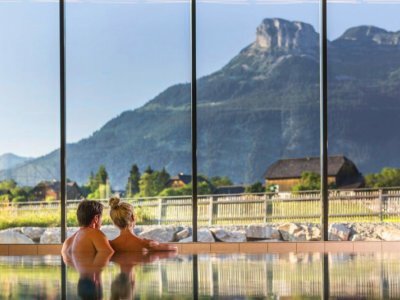 Here we present a selection of the best stretches of water for bathing, swimming and sunbathing in Bad Goisern on Lake Hallstatt, Gosau, Hallstatt and Obertraun. 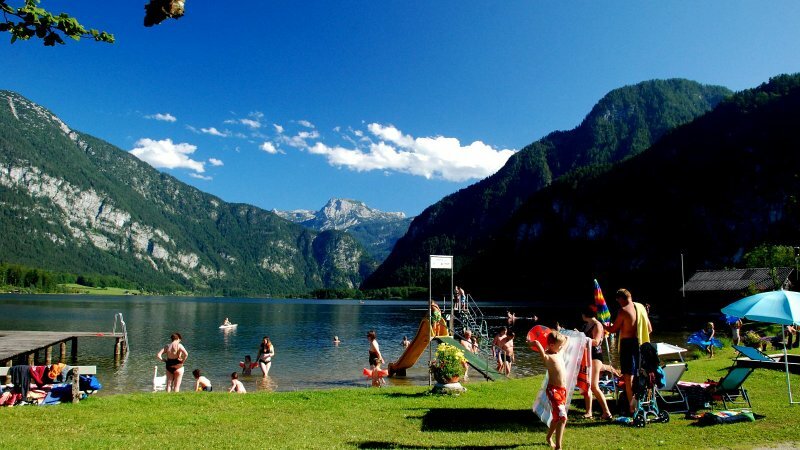 Hallstatt | Bathing island: Recreation for visitors and locals. 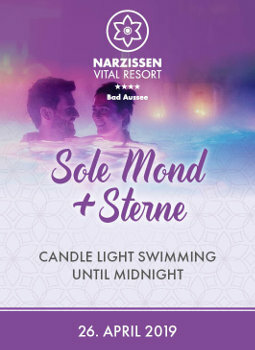 Equipped with a large children's play area, large sunbathing area and toilet facilities. 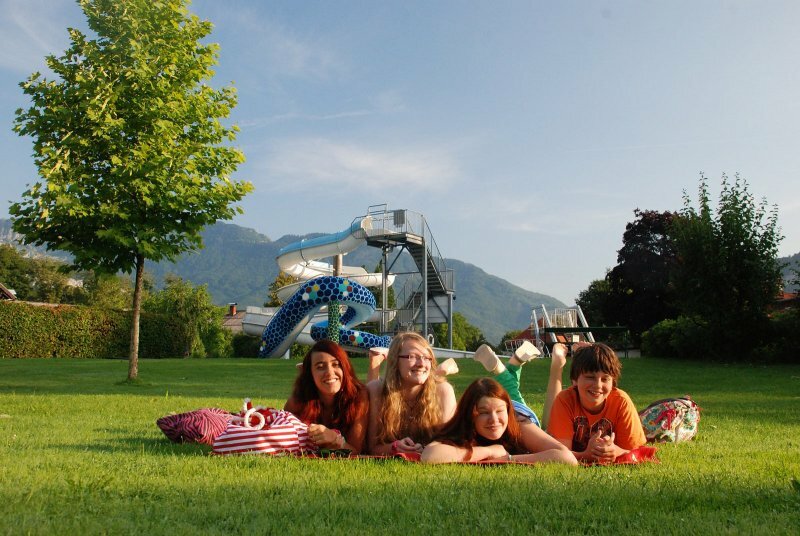 Perfect for fun family bathing. 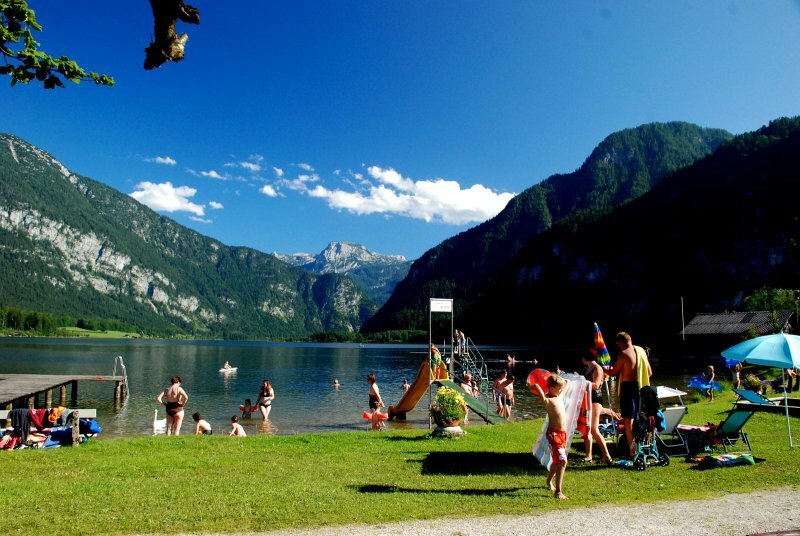 Hallstatt / Obertraun | recreational area: Large bathing beach on Lake Hallstatt with a large sunbathing area, barbeque areas, snack bar and ample parking. Special feature: Unique panoramic views while swimming! 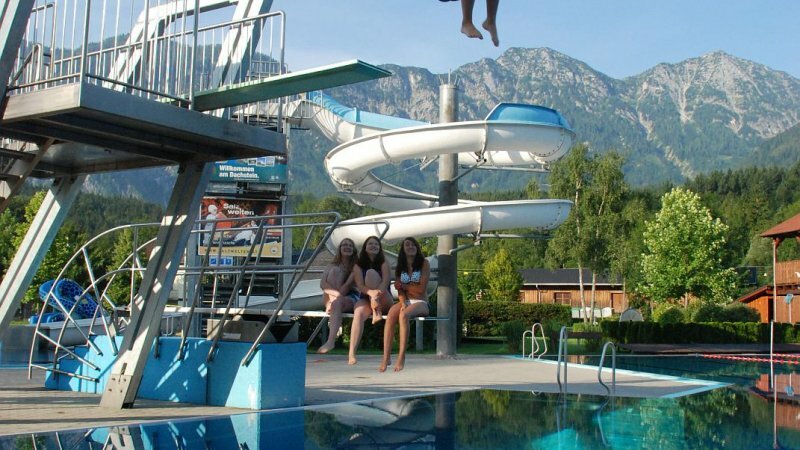 Bad Goisern on Lake Hallstatt| Parkbad: Located next to the Kurpark (spa gardens), in the centre, are the sunny beaches and lawns of the Parkbad with large sunbathing areas, slides, large swimming pools and ample parking. 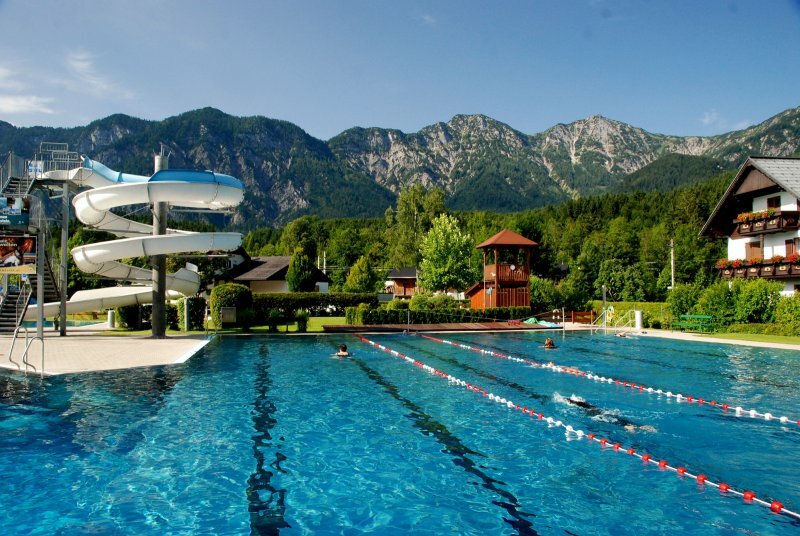 Bad Goisern on Lake Hallstatt/ Untersee lido: The beautifully located lakeside resort, with stunning panoramic views over the fjord-like lake and the Krippenstein, the mountain for excursions and hiking, counts as one of the most beautiful bathing areas in the Salzkammergut. 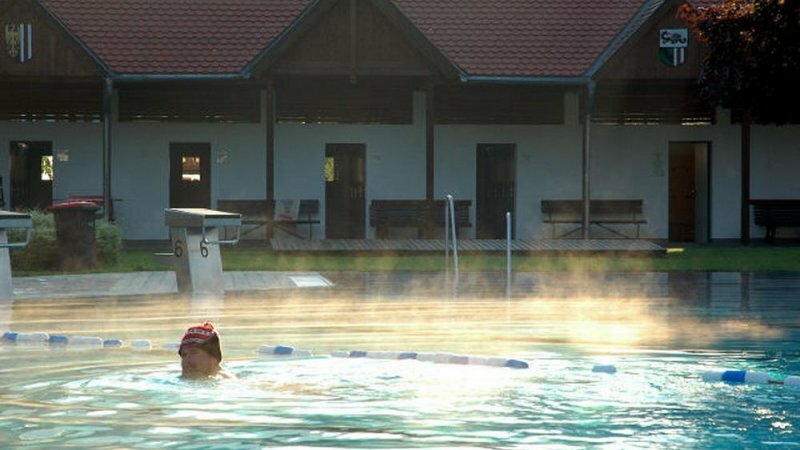 Obertraun | Dog bathing area: For all four-legged friends, who want to cool down a bit on hot summer days, there is a dog bathing area at the so-called Landbettler between Hallstatt and Obertraun. 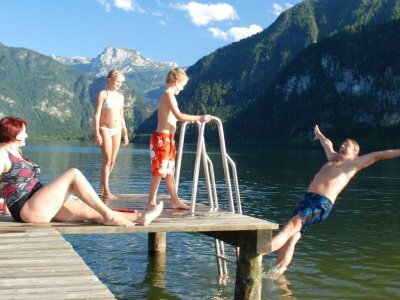 Lake Gosau: Bathing with glacier views! 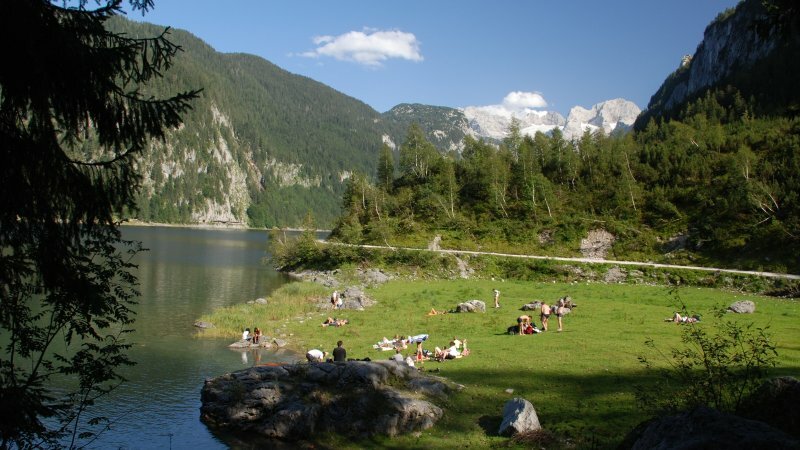 Gosau | Lake Gosau (Vorderer Gosausee): This small mountain lake is a nature reserve and characterised by very cold, clear water of drinking water quality. Ample parking is available at the Zwieselalm cable car station. 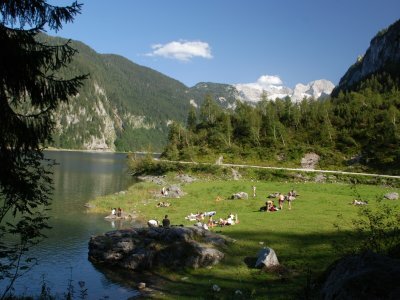 Most fascinating: The view to the Dachstein Glacier! 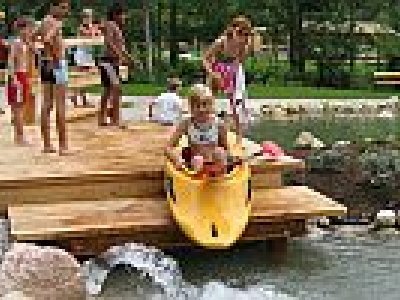 Russbach | for waterpark lovers: big nature-made swimmingpool with impressive waterfall, non-swimming area, variable jumping possibilities and an exclusive waterslide. Are cycling and mountain biking your passion? 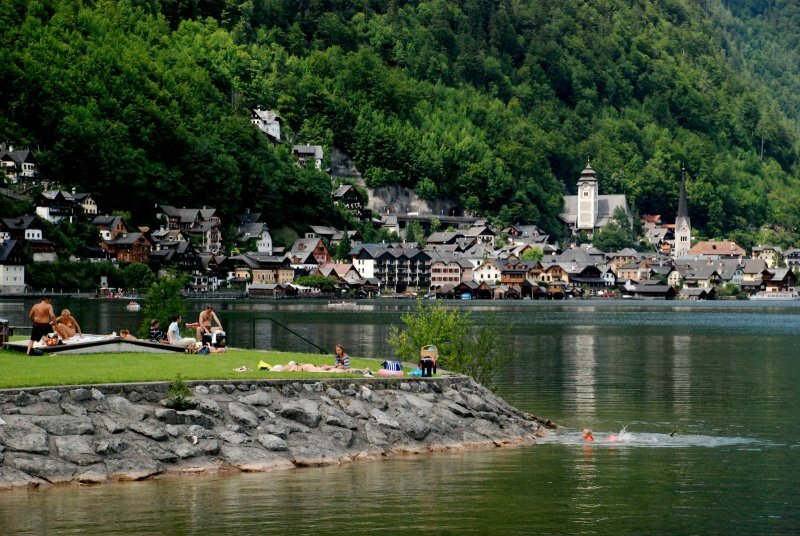 If so, the region around Lake Hallstatt is definitely the place for you! Here you will find everything your biking heart desires: bike rentals, shops, and routes that are tailored to you. 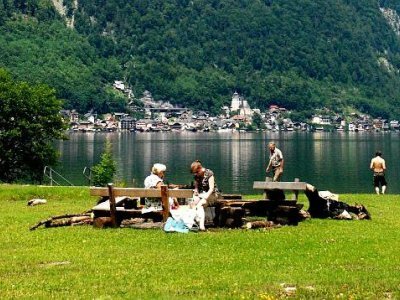 For mountain bikers and tourers especially, the UNESCO World Heritage region of Hallstatt Dachstein Salzkammergut offers an extensive network of mountain bike trails and side roads with minimal traffic. 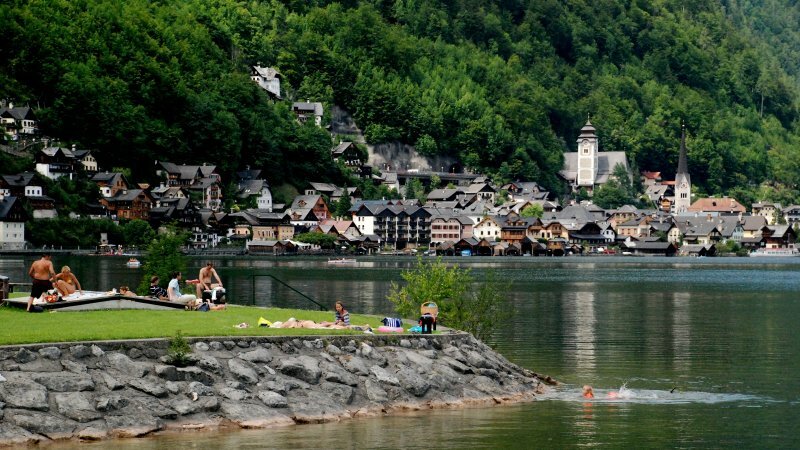 And for a highly family-friendly, leisurely experience, why not try the Bike Path around Lake Hallstatt: This loop takes cyclists to some of the most beautiful spots and most interesting sights, like the soldmine and the Heritage museum in Hallstatt.